The latest BBC landmark natural history series, four years in the making, launched in the UK in January with 6.5m viewers for episode one with the corporation planning sales in over 200 territories worldwide. As with Life On Earth and Frozen Planet, music is integral to the production for the emotionally charged scenes of nature at its best and worst. 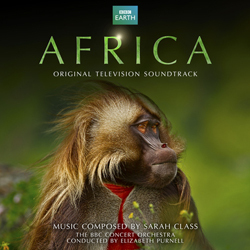 Emmy-nominated,composer, singer, songwriter Sarah Class is one of the UK’s most sought after composers. Her credits include many TV and film productions that include The Meerkats, State Of The Planet With Mark Knopfler (Emmy nominated), Animal Forensics (RTS nominated) and Trial & Retribution. She also worked as a writer and arranger on Hayley Westenra’s worldwide smash album Pure.